Samford University’s Geography Department, Office of Environmental Stewardship & Campus Enhancement, and various campus organizations will offer a week of public events focused on environmental themes from academic, social and spiritual perspectives April 20-24. 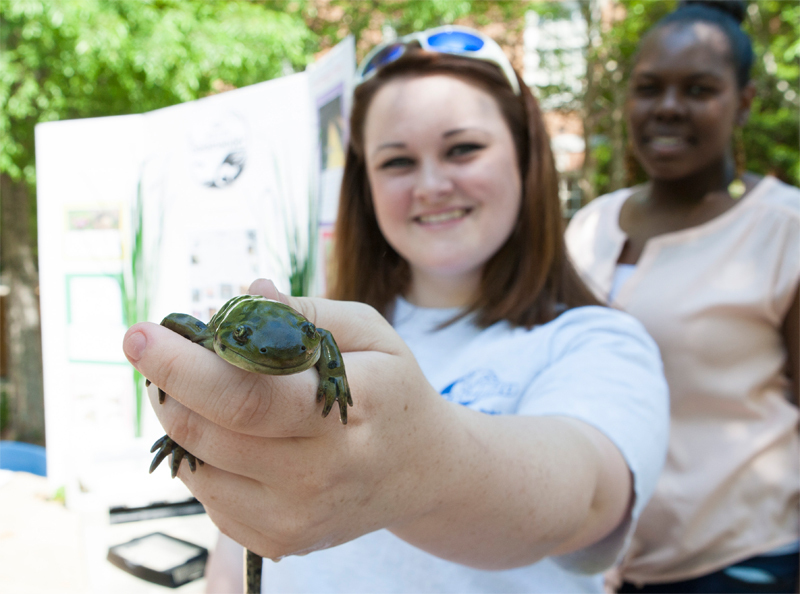 The events are part of the university’s annual Earth Day celebrations. The Critical Languages Program sponsors this journey through India in search of the hidden world that lies between the folds of cotton – the most used textile fiber in the world. Student and academic groups will display their expertise on a variety of environmental and educational issues. Outside vendors will be at the fair to market their own products and services. Technical Knock Out will be on-site to recycle anything that plugs in (fees associated with monitor and hard drive destruction). Alabama Spring Skies Show (telescope viewing immediately following). The French Club sponsors this touching film about the life of a captive orangutan. The Film Club and Geography Department sponsor this viewing of Bong Joon Ho’s science-fiction horror tale of an environmental incident and a monstrous creature conceived in the waters of Seoul’s Han River.